A group of children are preparing a festive video when who should walk in the session? None other than the Barça star! 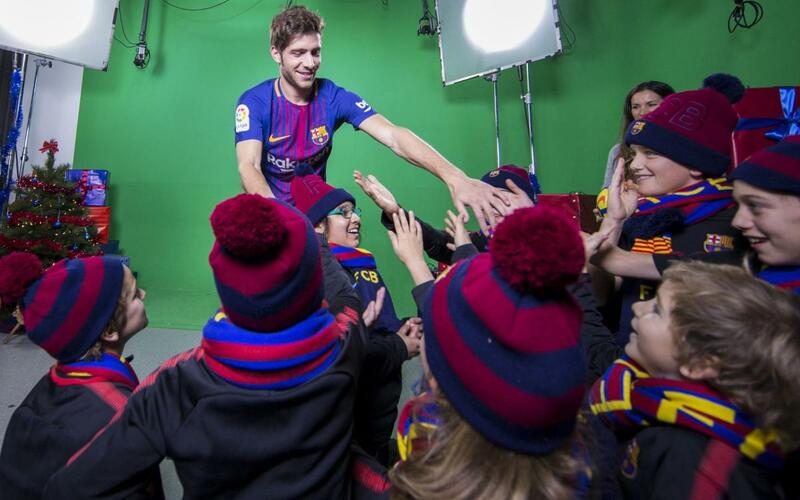 Christmas is a time for delivering happiness to young children, and that’s exactly what Sergi Roberto does in this video. The kids were recording a festive message when they were taken by surprise by the Barça midfielder. And who did he have with him? Ho, ho, ho, it was Father Christmas himself bringing a double helping of festive joy!